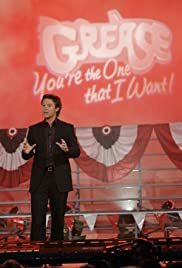 A talent competition series where the American public ultimately chooses the male and female lead for the 2007 Broadway production of Grease. I love the TV contest. Hate to see it end. There are so many talented contestants. It's a shame that only 2 will be picked. I love watching the judges also. At times they are as entertaining as the contestants. I have been watching the show faithfully every Sunday night. Wouldn't miss it for the world. It's the best reality show that's ever been on television. Good luck to all the contestants, though I have already chosen the two who I would like to see play Danny and Sandy on Broadway. I am anxious to see if my decisions are correct. I am not aware of how long the contest will go on until a Danny and Sandy are chosen but I will keep watching until the end.